That frozen banana ice cream thing? It works. 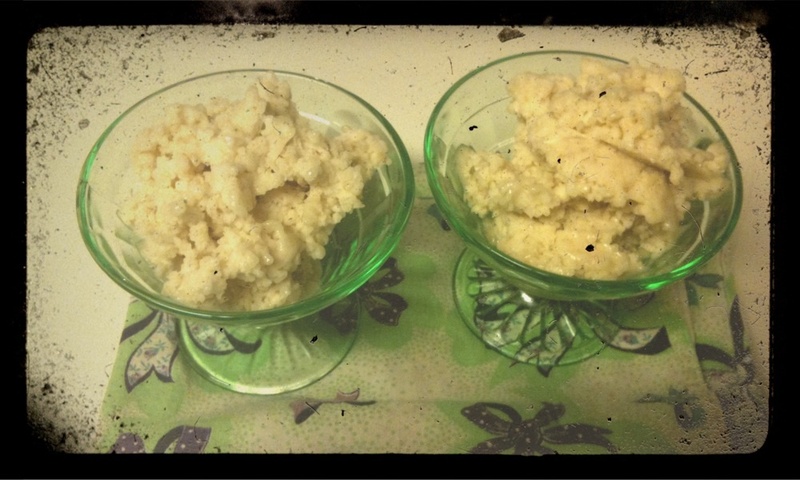 I was slightly skeptical that a frozen pureed banana would emerge from the food processor and actually resemble ice cream, but I couldn’t ignore the numerous posts that have been making the Internet rounds. When a friend posted this one on my Facebook page a couple of weeks ago, I knew I had to run my own experiment. It totally worked. After whirling frozen banana slices for about one minute in the food processor, I took off the lid to reveal a clumpy-looking concoction that really did have the consistency of ice cream when I tasted it. Totally worth it, especially given my revulsion for bananas that have slightly exceeded their perfect level of ripeness. Now I’m contemplating additions, like a hint of cinnamon and maybe a spoonful or two of walnuts. And chocolate. Definitely something chocolate. I’ve got a bunch of overripe bananas put up in the freezer that I’ve been threatening to dump in the ice cream maker. BTW, I can wholeheartedly recommend the Cuisinart ice cream maker. It’s easy to use and makes just the right amount of smoothie, ice cream or frozen alky drink.